#That's #NOT #How #We #Use #Hashtags #!!! #That’s #NOT #How #We #Use #Hashtags #!!! You want to increase the number of people who follow you, reach people outside your fan base and generally have the whole world acknowledge how well you cook or how beautiful last night’s dress was. 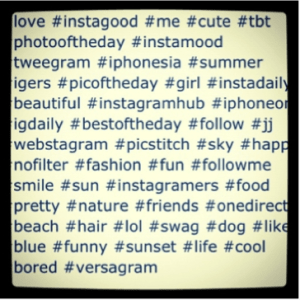 Sorry to break the news, but you’re not going to get anywhere using hashtags the way you do. While the internet may not have actual laws about using the hashtag, there is certainly an unspoken set of rules that people should follow! That day, when you first saw the cute little pound sign in front of a word or phrase, did you consider researching its purpose? Or did you just assume you knew what it was for and start using it right away? If you were a conscientious social media user, you would have done your research and saved everyone the agony of tweets and updates littered with hashtags, but it’s okay. It’s never too late to mend your ways! There are plenty of articles that explain how hashtags work, but that’s not what we’re going to talk about today. The purpose of this article is to show you what not to do so you can avoid annoying (and even losing) your followers! While commonly known as the pound or number sign, Twitter has given the symbol new life. Now referred to as a hashtag, it was first used by Twitter users to categorize messages and mark keywords or topics in a tweet. As the years have passed, however, the hashtag has become so much more. The glue that holds brands together. Companies can now run their campaigns on multiple platforms and keep track of them all with one common identifier – a unique #hashtag. And yes! Hashtags can also help people discover you and your splendid content – but only if you know how to use it! …. hashtag every single word in a sentence. Not only does it not make sense, it also makes it difficult for people to read your tweet and understand what you’re trying to say. So if you want to annoy your followers, by all means, continue hashtagging everything, but if you’d like to keep the fans you have and increase your following, it’s time to drop the habit. #would #you #really #enjoy #reading #the #entire #post #with #hashtags #? …. overuse hashtags in a simple announcement. 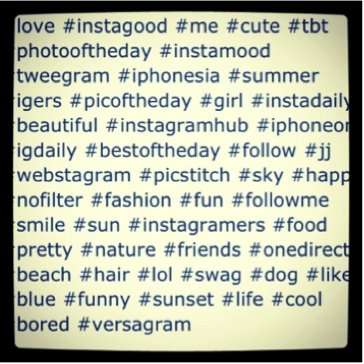 If you have more hashtags in a sentence than words, chances are you’re overdoing it. People will get your point much more quickly with tastefully placed hashtags. If you do this too often, people will eventually consider your messages spam and ignore them completely. They may even unfollow you. …. use irrelevant hashtags simply to increase the number of people who follow you. Misleading hashtags may achieve a higher number of followers in the short term, but ultimately these new followers will mean nothing to you or your business in the long term. They won’t interact with your tweets, buy your product or service, or be interested in any message you have to share. It’s like going to a witchdoctor for a love potion that you plan on giving to someone who has no interest in you. You know the relationship isn’t real; it’s based on a trick. Is that how you want to start a relationship with your followers? By tricking them into following you? You can’t be that desperate. Keep your focus on what you do best, use relevant hashtags discerningly and you’ll begin to attract the people who are truly interested in what you have to offer. …. use punctuation marks in hashtags! For Pete’s sake! It defeats the whole purpose. People can actually click on your hashtag to view related tweets. Adding spaces or punctuation to a hashtag invalidates the keyword or topic. Maybe you meant #fish&chips, but all your followers saw was #fish. The only exception to this no punctuation rule is the underscore. So you can do something like #I_like_you, but why bother? That eats up your character count (not good if you want people to retweet!) and looks sloppy. #ILikeYou is shorter, sweeter and neater. It also means that people who want to follow your conversation will have a better chance of doing so since they won’t have to remember where the underscores go. …. forget to make sure your hashtag doesn’t say something inappropriate. Sometimes a few capital letters can make all the difference. Poor Susan Boyle learned the hard way when promoting her latest album with a listening party: #susananalbumparty. And the Twitterverse became upset when the hashtag #nowthatchersdead started trending and everyone thought Cher had passed away the same day as Margaret Thatcher. Hopefully this article is convincing enough that you feel motivated to drop your bad habit (and a few of those extra hashtags!) so that you can start using social media more effectively. Using hashtags properly will help you reach a more targeted audience and make it easy for your current followers to read your messages and interact with you! Be sure to follow us @optimum7 and let us know #WhatYouThink!